Today's my mom's birthday! Yeah! If you know my mom, she's more craftier than me. Growing up, I remember my mom saving all of her extra buttons in her sewing box. When she realized that she wasn’t going to use a plethroa of them for their corresponding outfit, she glued them to a plain picture frame to add some jazz. My mom’s DIY craft reminds me of this one from the blog Tip Junkie. 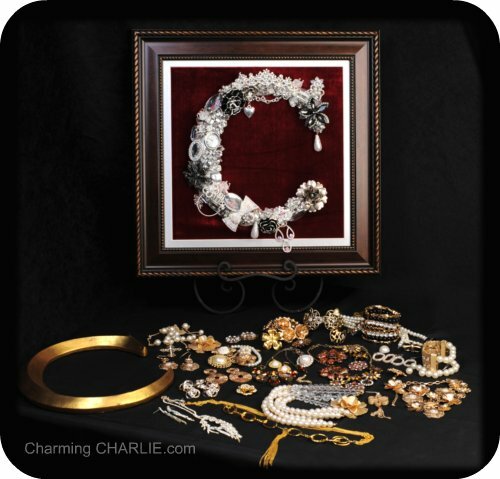 The blogger took some broken jewlery and an initial plaque to create a chic, stylish monogram. For a tutorial on this project, visit Tip Junkie.